The nominations arrived from 23 European countries who decided to participate in the European Roma Spirit Award (ERSA) 2016 – an international award giving presentation of activities, projects and individuals that support integration of Roma in Europe and bring effective and functioning solutions to the issues faced by the Roma community. “Nominations from 23 European countries were a great demonstration of exceptional projects and results of the work of organizations and individuals who contribute significantly to improving the situation of Roma in Europe. Preparatory and Organizing Committee had a very difficult task to choose the best ones,” says the author of the project idea Ľubomíra Slušná-Franz, President of ACEC. “The first year of ERSA brings a fascinating diversity of fates of people who devoted their lives to the development of Roma situation in Europe. It points out not only the number of challenges faced by the Roma in Europe, but also an incredible creativity and invention that helps to improve the quality of lives of Roma in all areas. ERSA is also a practical materialization of the idea of the Council of Europe which says that Europe is the true homeland of the Roma and that Roma are the most real Europeans,” stated Chairman of the Preparatory and Organizing Committee, sociologist Michal Vašečka. The laureates of the European Roma Spirit Award 2016 will be chosen by the International Jury of Experts. 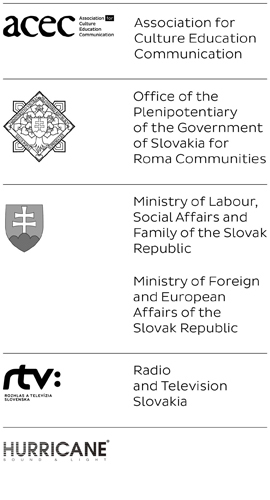 The members of the Jury include Ms. Ethel Brooks (Rutgers School of Arts and Sciences), Mr. Andrzej Mirga (Roma Education Fund), Mr. Michael Kocáb (activist, Czech Republic), and Ms. Mirjam Karoly (Office for Democratic Institutions and Human Rights). The Jury will be chaired by Ms. Věra Jourová, European Commissioner for Justice, Consumers and Gender Equality. The European Roma Spirit Award 2016 gala evening and award ceremony will take place on Monday, October 10, 2016 in Bratislava, Slovakia on the occasion of the conference “Empowering Roma Youth as a Driver for Change”, which is the official event of the SK PRES 2016. The award giving ceremony will be televised and it will be possible to live-stream it on www.romaspirit.eu. Download a press release here!